General Hospital spoilers for the next two weeks show Kevin Collins (Jon Lindstrom) hatches a plan to break out of Ferncliff. Young and the Restless spoilers for the next two weeks indicate Victor Newman tries to protect his family after Nikki Newman admits to murdering JT. 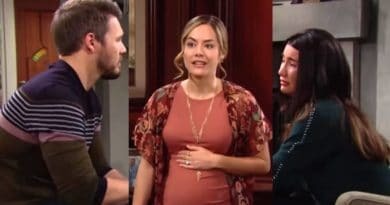 Bold and the Beautiful spoilers for the week of February 4 say Hope Logan and Liam Spencer have strange feelings for Steffy Forrester’s baby. 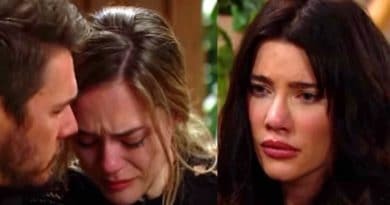 Bold and the Beautiful spoilers for the week of January 7 see Hope Logan and Liam Spencer in mourning after their baby dreams were crushed. Bold and the Beautiful spoilers for the week of December 31 rings in the New Year with Hope and Liam facing a crisis as Hope goes into labor. 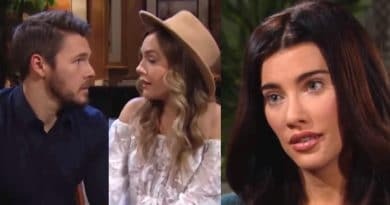 Bold and the Beautiful spoilers for the December 17 week say Hope Logan and Liam Spencer face a bump in marriage about Steffy Forrester. Bold and the Beautiful spoilers for the next two weeks have Brook following every move that Taylor makes pushing Taylor closer to the edge. ‘Bold and the Beautiful’ Spoilers Week Of Dec 10: Hope and Liam Decide Taylor’s Fate?